Ah, another day another Dogfish Head. Life is good. 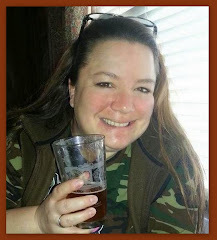 Today I am sharing a Robert Johnson's Hellhound on my Ale brewed by Dogfish Head with my hubby. This brew is so named after blues master Robert Johnson who died at the remarkably young age of 27; though not before making his mark on music forever. As legend goes, sold his soul to the devil at a crossroads at midnight in exchange for fame and fortune. Unfortunately for poor Robert, his fame came after his death and never reaped the rewards. 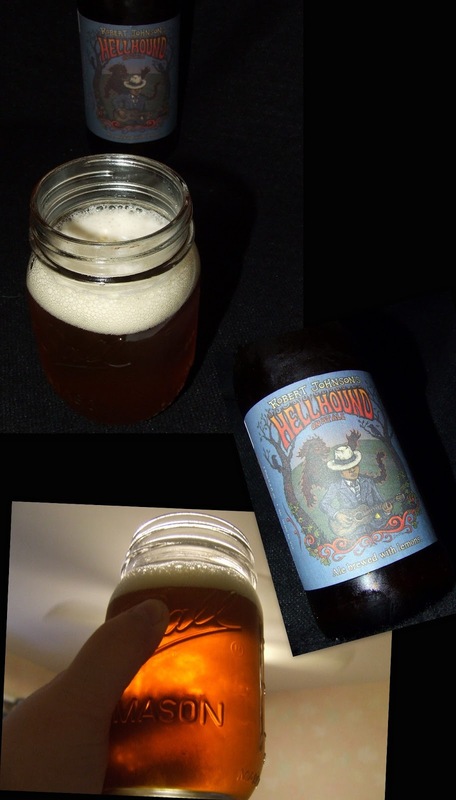 Dogfish Head brewed this beer to "get the hellhounds off his trail and into this finely-crafted ale". 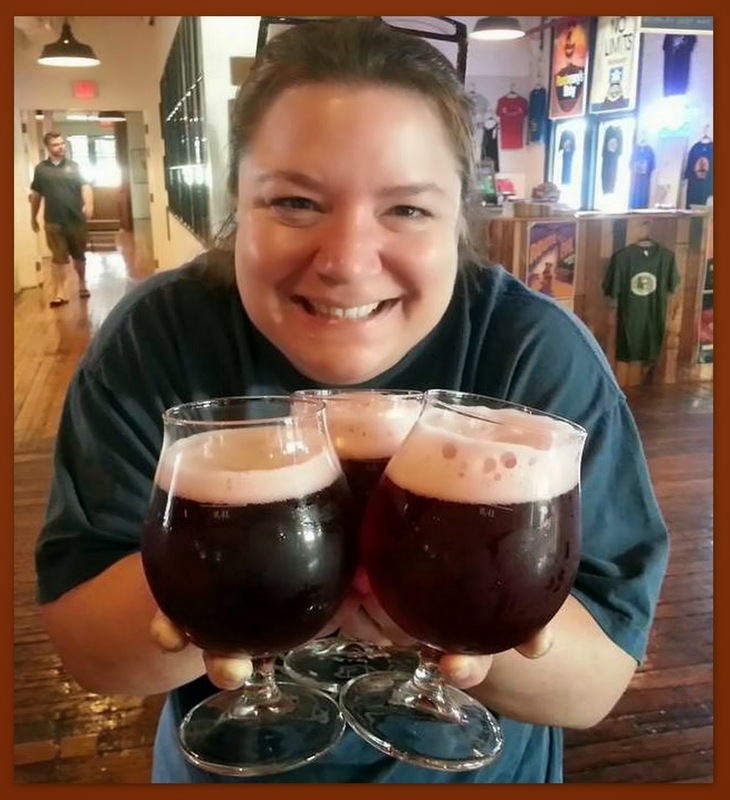 Hellhound on my Ale (10% ABV) pours a rich, hazy reddish gold with a great big fluffy head. The huge citrussy aroma get your mouthwatering and ready for the wonderful hoppy assault to follow. My first reaction when I took a sip was - wow, that's a lot of little bubbles; very playful like music on my tongue. The first taste is bready and malty sweet followed by lots of lemon and the bitterness of lemon peel. 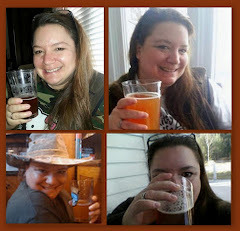 With my taste-buds trying to come to grips with all of that wonderful flavor, next came the big bite of citrus hops. Mmm, yeah. There is a definite boozy quality that is tasted and felt. The finish is a lingering bitterness that is quite pleasant. 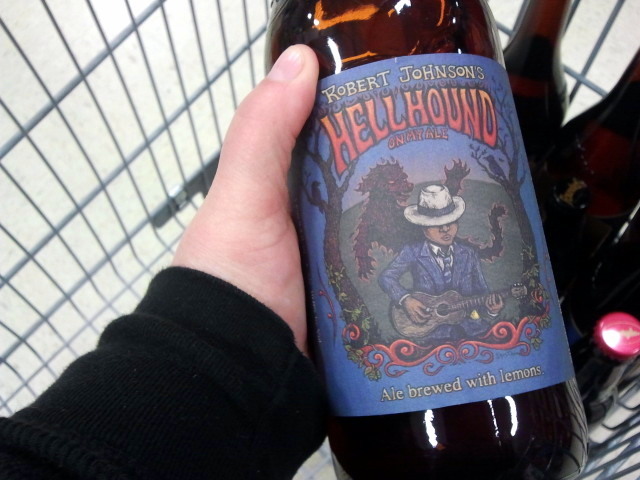 Hellhound on my Ale is a beer that wants to be drunk and I happily complied . . . very refreshing and delicious but not a slammer-backer. This is a big beer with near overloads of flavor. But it all works out masterfully. 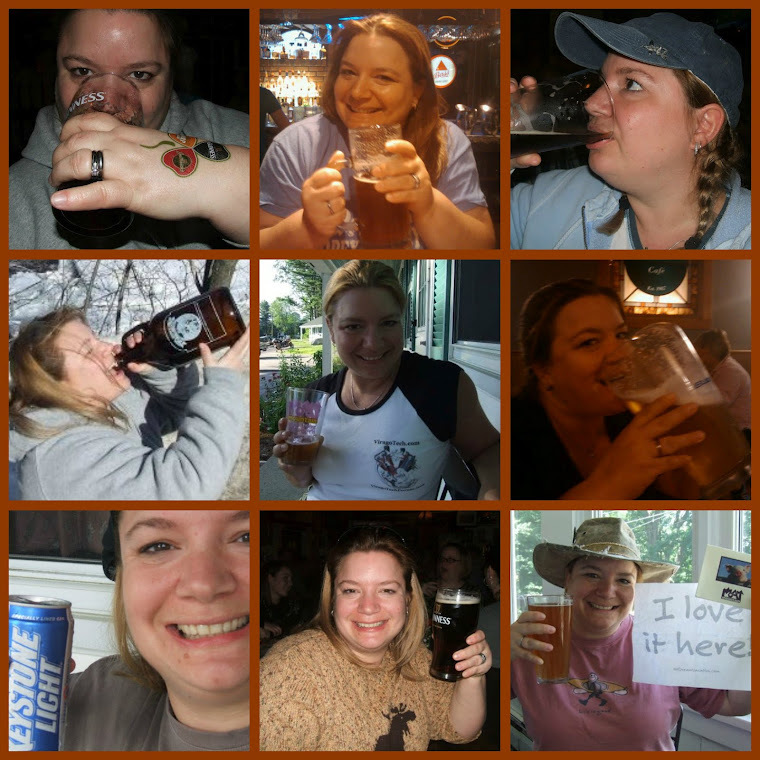 I loved this brew.